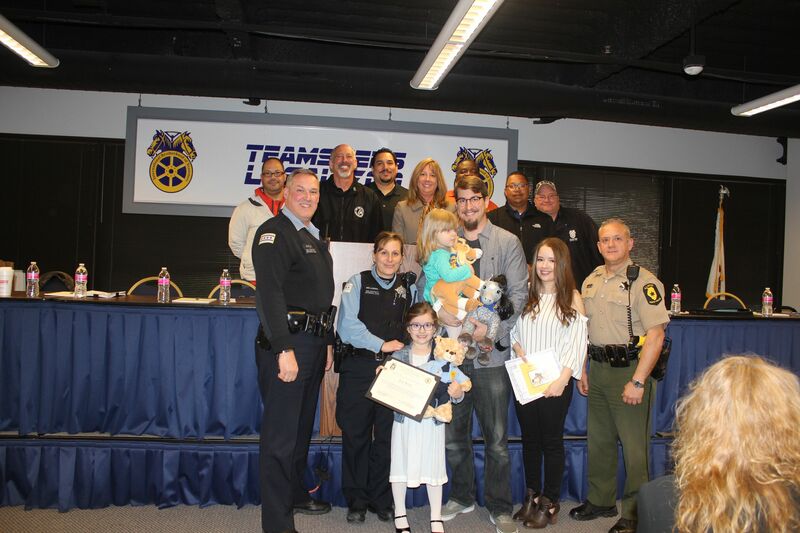 4-year-old Aria Koval was honored for helping save her mom's life at the May 2 General Membership Meeting. Aria's father, Robert, is a Local 700 IL Tollway member. 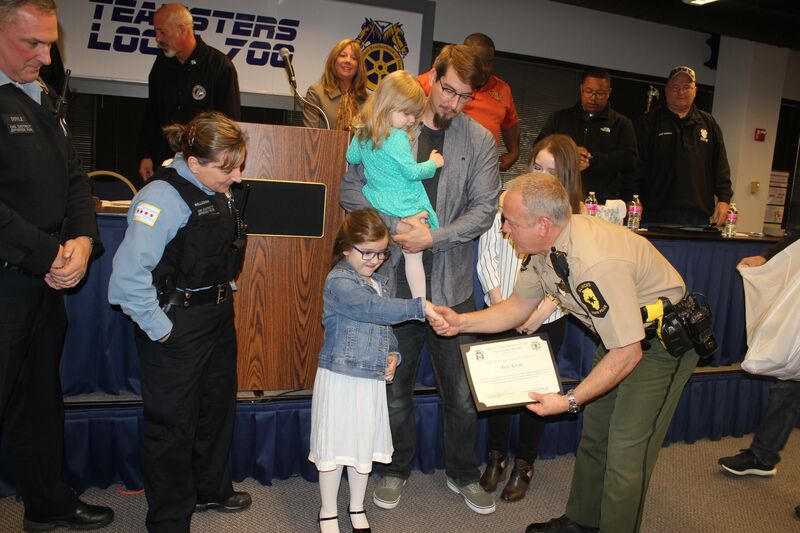 Illinois State Trooper George Likouresis presented Aria with a special certificate during the May 2 General Membership Meeting and called her a hero. Illinois Tollway member Robert Koval’s four-year-old daughter, Aria, is being hailed as a local hero after her quick thinking likely saved her mom’s life. On Friday, March 10, Robert’s wife, Sue, called Robert to tell him that she was having trouble breathing. Moments later, she suffered a severe asthma attack and passed out while she was home with Aria. Doing exactly what her parents showed her, Aria called 911 and waited for the police to arrive. After seeing the police car pull up in front of their building, she walked down the stairs and led the officers into her home. “Since I work the overnight shift and Aria is home alone with her mom, I taught her what to do in case of an emergency,” said Robert, who has worked at the Tollway for eight years. Robert says his wife is recovering and is feeling good and Aria was excited to tell her friends at school about what she did.